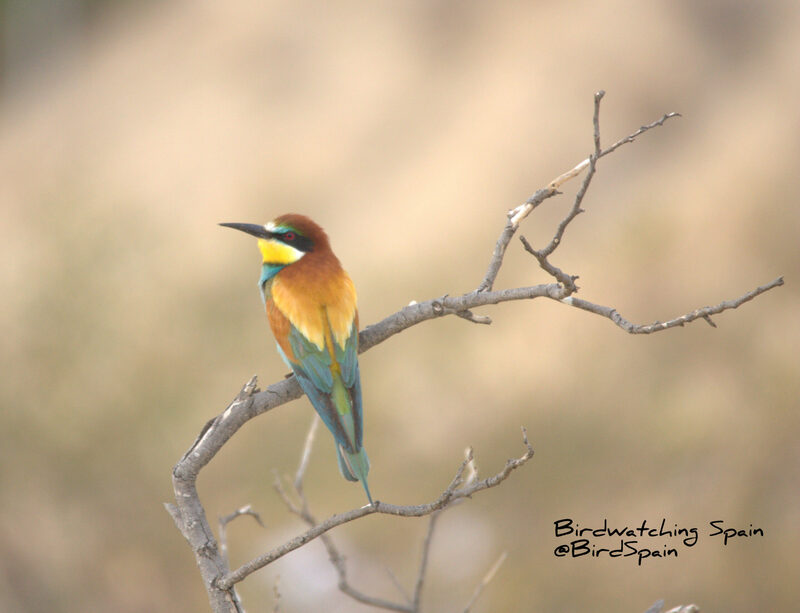 I hope to catch your attention about the superb birdlife that can be found in this part of Spain (Alicante and Valencia provinces). Last Tuesday, I had the pleasure to guide Richard in the Alicante area. He had emailed me a list of lifers he would like to see and I think we did pretty well. After picking him at 6:30 (we wanted to avoid the heat), we set off to el Monnegre to look for our first targets, the Black Wheatear. It didn’t take long before we watched our first Black Wheatear in the river gorge, following by two mores near a building in ruins. 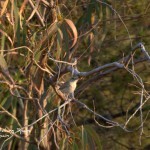 Then, we drove for few minutes to visit an area where last May I found two territories of Rufous-tailed Scrub-robin. In my opinion, this is one of the most wanted birds as it has become very rare. Unfortunately, the population is crashing and the remain pairs are very located. We failed in the first attempt. 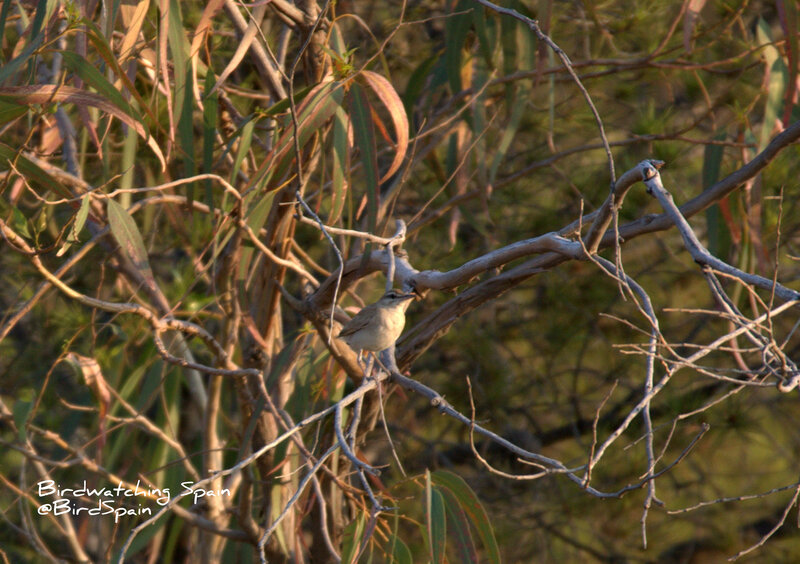 Nevertheless, we found in the second patch a nice male Rufous-tailed Scrub-robin calling on the top of a pine three. What a superb bird!. Besides, we found Crested Lark, Sardinian Warbler, Red-legged Partridge, Woodchat and Iberian Grey Shrike. Our next destination in this birding trip Alicante, was El Hondo. There, we found in the lagoon besides the visitor center Fan-tailed Warbler, Purple swamp-hens and the usual Red-Knobbed Coots with a white collar. These RKC are part of a reintroduction programme which is not working as well as we would like. Once the birds are release, they disperse and never settle, suffering high mortality. We continued the birding trip Alicante finding the third target of the day, the White-headed Duck. There was a group of 5-6 ducks diving in front of the first hide, most of them juveniles which is excellent!. We also watched a good number of birds such as Collared Pratincole, Squacco, Night and Purple Heron, Whiskered Tern, Little and Cattle Egret, Shelduck, Black-winged Stilt, Whimbrel, Little and Ringed Plover, Common Sandpiper, a female Red-crested Pochard, etc. Around 11:00, we started to feel the heat, so we decided to go for some refreshments in San Felipe Neri before driving to the Salinas de Santa Pola. 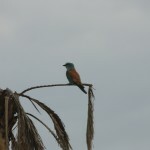 Later, while I was driving to the Salinas I found a Roller in a Palm tree, much to Richard suprise. I pulled over the car to watch it. Nice bird! In the Salinas we found another target, the Slender-billed Gull. Besides, we watched Greater Flamingos, Avocets, Kentish Plover, Gull-billed, Common and Little Tern, and other common birds. Finally, we made a short visit to the beach finding the last target, the Audouin’s Gull. The following day we went to the steppes of Albacete where we accomplished the two last targets: Little Bustard (a group of 10) and Black-bellied Sandgrouse. 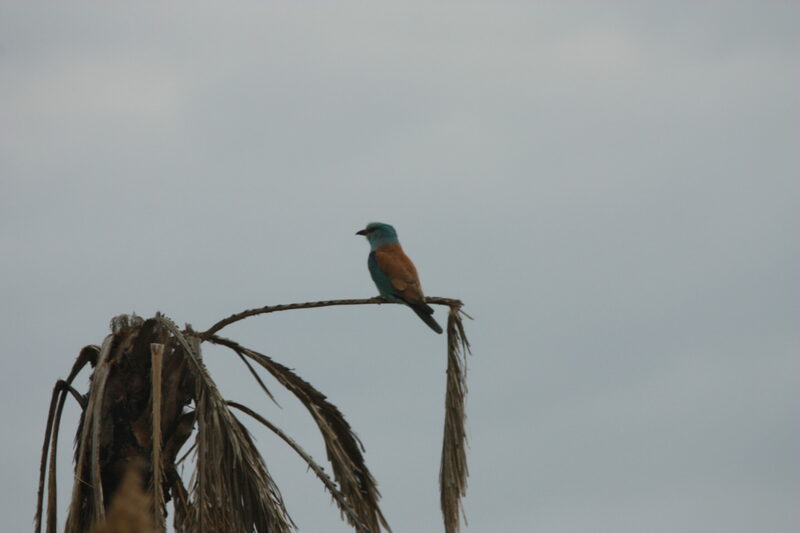 Other nice sightings were Great Bustards, a White-headed Duck, Black-necked Grebes, Pin tailed Sandgrouses and Bee-eaters. 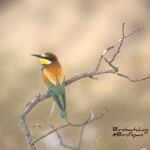 I hope you find useful this birding trip Alicante article. Furthermore, I would like to encourage worldwide birders to visit this superb area which won’t disappoint you by any means.